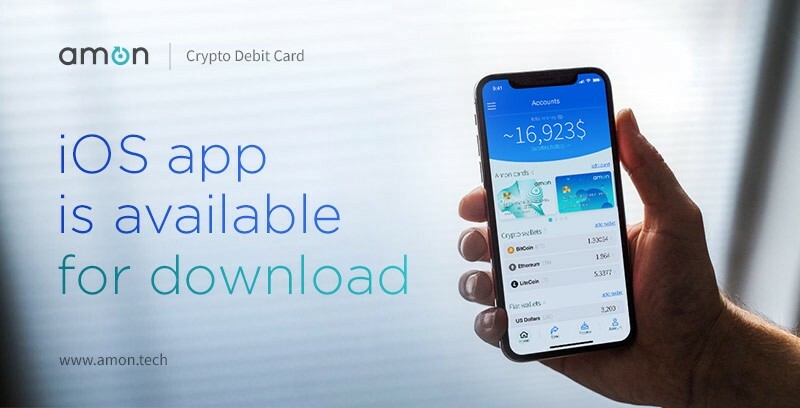 You can now download Amon Wallet for iOS! Our mission is to give you the most convenient way to use cryptocurrency in real life and we are working hard on it. We finally made Amon Wallet APP available for iOS, you can use it to check and monitor all your tokens/coins! For you to be able to download and enjoy the app, by using your phone, just go to Apple Store and search for “Amon” hit Install! Or visit our Website and download Amon Wallet from there. You can store AMN Tokens, Bitcoin and Ethereum for now, more cryptocurrencies will follow soon. Send/Receive funds — You can transfer your funds easier and faster. Fingerprint/Face Scanner log in — Aside from using a regular pin, you can use a fingerprint scanner that doubles your security and privacy. KYC integrated — You can upload your documents through the APP and check the status of it. Change your user details — Navigate to your profile at the top of the right-hand side and change the info. Crypto Market — You can check all tokens/coins values inside the wallet into “Market” Tab. Help Center Support — Our customer service team will be ready to help you in any questions/issue you might have.